Trump Revokes Clearance Of Former CIA Director John Brennan, Threatens To Do The Same For Other Critics - Joe.My.God. White House press secretary Sarah Sanders announced Wednesday that President Trump is revoking the security clearance of former CIA Director John Brennan. Former directors of intelligence agencies are generally granted security clearance as a courtesy. Sanders also said that Trump is considering revokes the clearances of former Director of National Intelligence James Clapper, former FBI Director James Comey, former National Security Advisor Susan Rice, former Deputy Attorney General Sally Yates and former FBI agents Peter Strzok and Lisa Page. 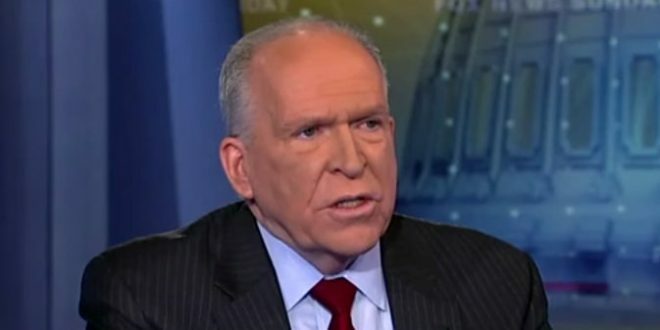 Former CIA director John Brennan, whose security clearance Trump is revoking today, was on MSNBC last night and on Twitter saying Trump fails to live up to minimum standards of decency and does not understand what it takes to be an honest person. BREAKING: Trump revokes former CIA Director John Brennan’s security clearance in a lengthy statement that attacks Brennan’s “erratic” behavior and lack of “credibility” in a TRANSPARENT attempt to damage his professional reputation in advance of him being a witness against Trump.